Blessed John Henry Newman is to be declared a saint. That joyful news was announced today as Pope Francis authorised the promulgation of a decree recognising, among other things, a second miracle attributed to the intercession of the English cardinal. That second miracle is required before a person can be canonised (unless he or she is recognised as a martyr). John Henry Newman’s feast day is 9 October, the date in 1845 on which he converted to the Catholic faith. That will most probably not change upon his canonisation. The most significant change is that Saint John Henry Newman may now be venerated world wide. The veneration of Blesseds is limited to the dioceses or countries where they lived and worked. No date has as of yet been announced for the canonisation, although it will most likely take place in Rome. Bishop Jean Kockerols’ Synod intervention (as the four-minute speech allowed to each delegate is called), which he gave yesterday, has been making some headlines for what he says in his text’s final paragraph. Below, I share my translation of the entire text, in which Msgr. Kockerols expounds on what he calls the “one Christian vocation of baptism”, which is manifested in several different vocations. (Life choices) The fundamental vocation resounding in the consciousness of every person is the appeal to life. “Choose life, then, that you and your descendants may live” (Deuteronomy 30:19). This fundamental choice to renew every day of our existence, gives rise to confidence; which in turn leads to openness to other and an engagement to serve the world. The appeal to life is the way of humanisation. You will have life “by loving the Lord, your God, obeying his voice, and holding fast to him” (Deut. 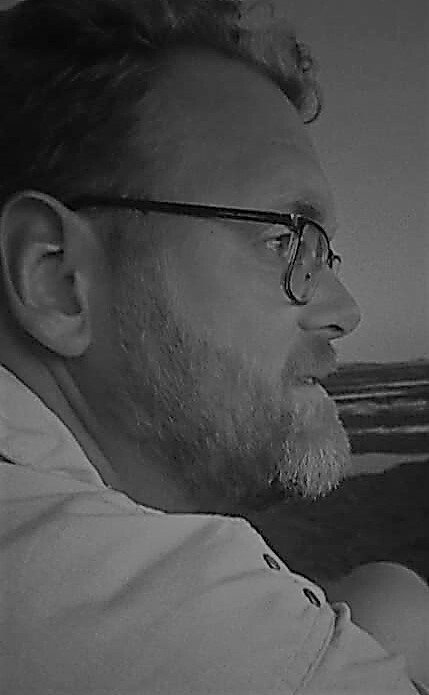 30:20). To the Christian this appeal to life is an invitation to be and become a disciple of Christ: Come and follow Me. The answer, given in full freedom, exists in conforming one’s life to that of the Christ: to develop trust in God, in prayer, love, joy, self-sacrifice… The appeal of the Lord presents a way of holiness. 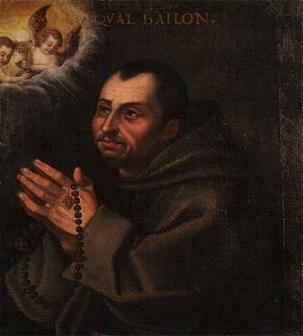 (Choices in life) This vocation of baptism is the source and summit of every other vocation. First the vocation of daily life, to which the answer is a preparation for the great choices at the turning points of life. Here the Church must, with a necessary measure of pedagogy, accompany the young. She must help them make the exegesis of their lives, so that they may become disciples of the Christ, each in their own rhythm. If she doesn’t make more of an effort in this field, the Church will continue losing her credibility. (The choice of a state of life) For this reason too, the Church must accompany the questions related to the state of life: Christian marriage and celibacy for the Kingdom. These two vocations deserve, in equal measure, to be appreciated by the Church. There is one Christian vocation, that of baptism, and there are several vocation given it shape. Allow me to conclude: I am convinced that some young people who, in their vocation of baptism, discovered the appeal to the bond of marriage, would like to answer “Here I am”, would the Church call them to office of priesthood. Bishop Kockerols does little more than acknowledge the wish of some that married men be allowed to be ordained to the priesthood. He does not criticise the rule of celibacy for Catholic priests – in paragraph 3 he says that celibacy and marriage must be appreciated equally. But by merging the various Christian vocations into one main vocation of baptism, they, in a way, become interchangeable. After all, as long as we respond to our vocation of baptism, with the help of the Church, there can be a certain openness or flexibility in how it is applied in life. Is Bishop Kockerols right? I won’t hazard to say. By acknowledging the desire of some married men to serve the Church as priests, he is doing more than simply stating a fact. By virtue of the place at and audience before which he said, it becomes more than that, and the suggestion was met with a “soft gasp” from some in the audience, it has been said. But, it would be an injustice to reduce Bishop Kockerols’ intervention to one line, as it contains a few important pointers to how the Church should relate to young people in discerning their vocations. Words from Pope Francis, in an audience with delegates from the German Lutheran Church yesterday. He was, not unexpectedly, speaking about ecumenism, urging continuing theological dialogue between various Christian churches and communities. The goals of ecumenism are often enticing, and this may cause some to get ahead of themselves. The themes Pope Francis mentioned – the Church, the Eucharist and the ecclesial ministry – reflect the goals of a shared understanding of what the Church is, a shared belief in the Eucharist and a shared understanding of the priesthood and other ministries in the Church, and which are often assumed to have been achieved already. This quote is especially interesting as a document was leaked yesterday which stated that the German bishops’ proposed pastoral outreach to interdenominational couples – which included the proposal to allow non-Catholic spouses to receive Communion under certain circumstances – is not fit to be published. The document is dated on the 25th of May, and was sent by the prefect of the Congregation of the Doctrine of the Faith, Archbishop Luis Ladaria, to the German bishops who participated in the meeting with the CDF and other dicasteries on 3 May. The letter makes it clear that it was sent with the express agreement of the Pope, who discussed the matter with Archbishop Ladaria in two separate audiences. 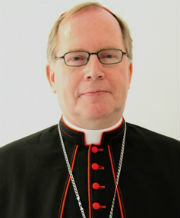 Recently, Cardinal Woelki again explained his reasons for opposing to proposed outreach. He indicated the unwritten rule that a non-Catholic spouse presenting him- or herself for Communion is never sent away, but, the Cardinal said, these “pastorally motivated exceptions” can’t be “codified onto a new norm.” They belong in the “area of personal pastoral care, of spiritual guidance, of confession and the individual conscientious decision of the faithful” and can’t be formally tied into the status of interdenominational spouses. 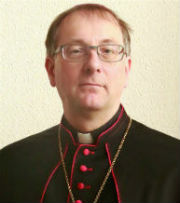 Cardinal Reinhard Marx, president of the German Bishops’ Conference and one of the supporters of the pastoral outreach, has admitted his surprise as the CDF letter. Perhaps rightly, he contrasts it with the initial request from the pope, that the bishops try and find a solution that is as unanimous as possible. Cardinal Marx said that that hasn’t been tried, let alone achieved, yet. He sees the need to discuss the topic in the meetings of the standing council of the conference and the autumn plenary meeting, but also with the dicasteries in Rome and with the Holy Father himself. We often, sometimes as a matter of course, say that the Eucharist is the source and summit of the life of the Church. But when you really think about what that means, about what the Church teaches and professes about the true presence of the Lord in the Eucharist, the cardinal’s passionate words make a lot of sense. Another bishop who mentioned the Communion issue was Essen’s Franz-Josef Overbeck. He said that a “theologically responsible solution” had to be found, but also emphasised that when the salvation of souls in an interdenominational marriage is at stake, Communion must be allowed for both spouses. The question then remains, of course, when this would be the case, and if this isn’t yet covered by the options allowed under the current Code of Canon Law.